Pink was the colour of Empire. 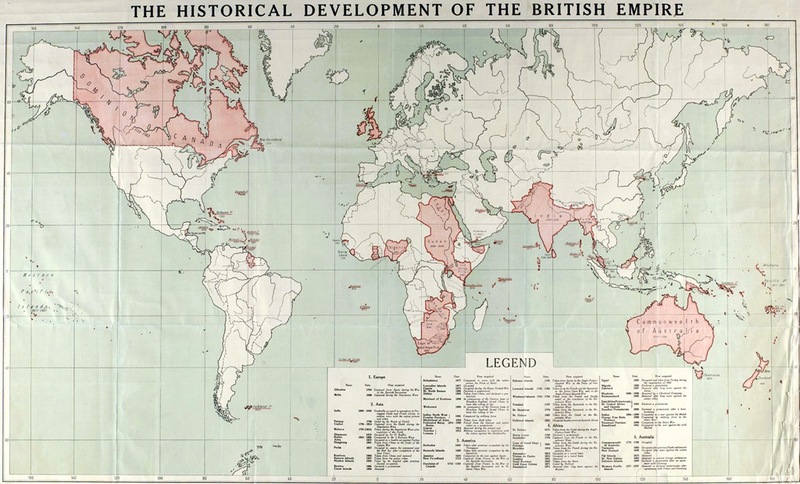 Anyone who is old enough will remember those world maps on which British colonies, dominions, territories and protectorates were shaded pink. 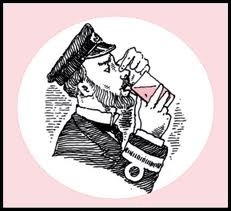 Pink was also the colour of one of the Empire’s favourite tipples, the Pink Gin. The Empire was fuelled by booze. It lubricated the wheels of commerce, relieved the boredom of lonely administrators and planters, and it emboldened soldiers and sailors on the brink of battle. Gin had been a staple in England since the 1600’s when troops fighting the Thirty Years War brought back the recipe from Holland where juniper concoction, genever, was giving their soldiers Dutch Courage. Gin’s popularity was spread around the world by the Royal Navy. Plymouth Gin Navy Strength first went to sea with the Navy in 1793 and by 1850 they were supplying 1000 barrels a year of this 57% abv (alcohol by volume) drink to the Royal Navy. There are various theories why Navy Strength gin had to be extra strong (regular strength is around 40% abv). The most plausible is due to space constraints on board ship which would have been important when provisioning a vessel for a six month voyage. Stronger alcohol took up less space for the same effect. The Blackfriars Distillery where Plymouth Gin originated is one of the oldest buildings in Plymouth dating from 1431. The Pilgrim Fathers spent their last night there before setting sail on the Mayflower for America. 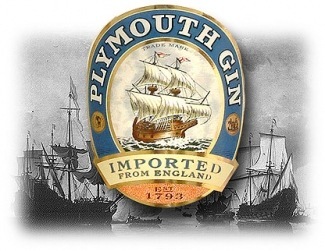 The Mayflower appears on Plymouth Gin’s logo but it is doubtful that the Pilgrim Fathers were big gin drinkers. Naval officers (only officers were entitled to gin, other ranks made do with rum) liked to mix their gin with bitters or lime for medicinal purposes. Bitters were invented in the 18th century as a remedy for seasickness while lime was introduced to the Naval diet to prevent scurvy. The addition of bitters also tempered the acidity of citrus so they were a natural combination. In this way, the Royal Navy inadvertently created one of the world’s first cocktails. Angostura Bitters was invented in 1824 by Dr. Siegert who was Surgeon General to the armies of Simon Bolivar. The town of Angostura is in Venezuela and is now called Ciudad Bolivar. In 1875 the company moved to Trinidad, perhaps to get closer to the Royal Navy which must have been one of their top customers. The recipe of Angostura Bitters remains secret but it is a fragrant and aromatic blend of roots from the gentian (a pretty blue alpine flower) and other botanicals, perhaps including coriander, angelica, orris root, orange peel, cassia bark or nutmeg. Add 75ml (2 1/2 oz.) of Gin. Add 2 or 3 dashes of Angostura. Strain into a (frozen) Martini glass. 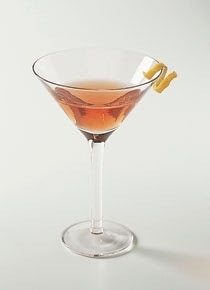 In Malaya, Pink Gin was known as Gin Pahit, pahit being Malay for ‘bitter’. 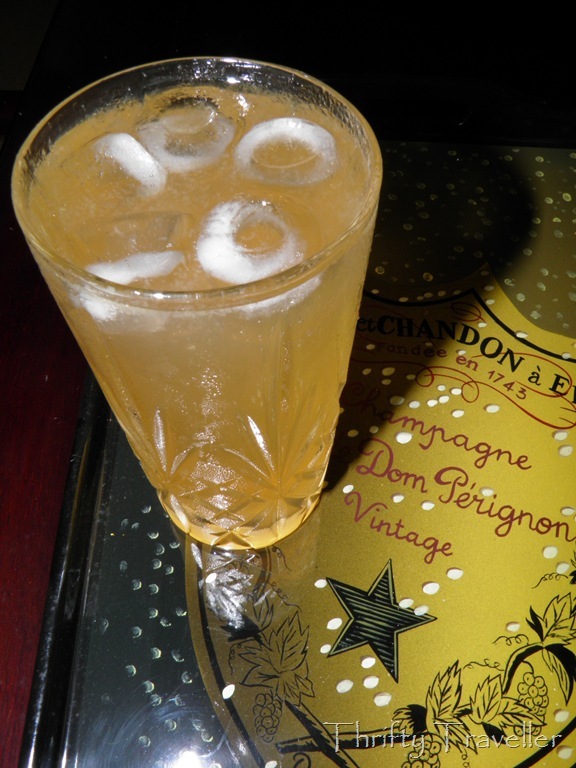 The drink is mentioned in many Somerset Maugham stories and it would have been a very common drink in clubs and hotel bars up and down Malaya. The recipe was slightly different in that it used much more bitters, thus more red than pink . The recipe at the Long Bar at the Raffles in Singapore was 1 1/2 oz. gin to 1/2 oz. of Angostura bitters. Perhaps the increased dose of bitters was due to their mosquito repelling qualities, indeed some colonial wives were known to rub bitters on their skin to keep the bugs away. 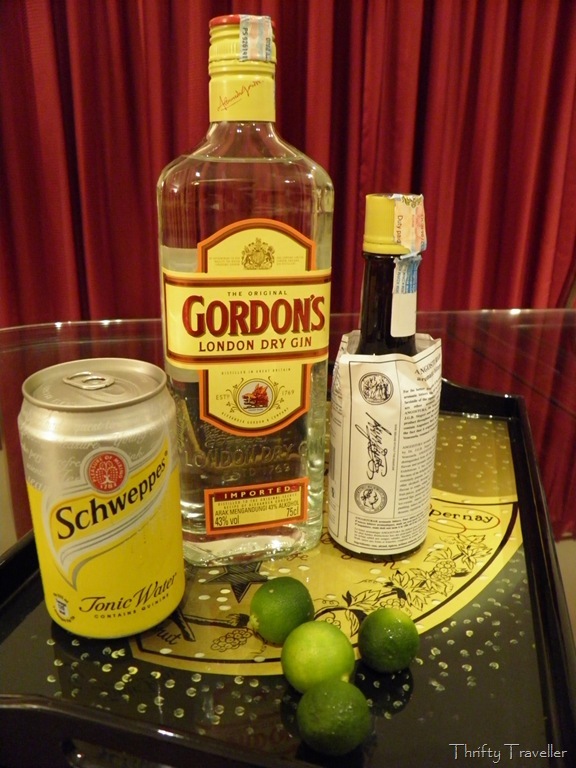 In modern Malaysia you seldom encounter gin pahit. You can find it on the drinks menu at the retro styled Majestic Hotel in Kuala Lumpur and I expect they could knock you one up at the Coliseum Bar but it has definitely gone out of fashion. It is too alcoholic a drink for contemporary tastes. The juice of 4 limau kasturi or kalamansi (local sweet limes). Mix in a tall glass with ice and fill to the top with tonic. 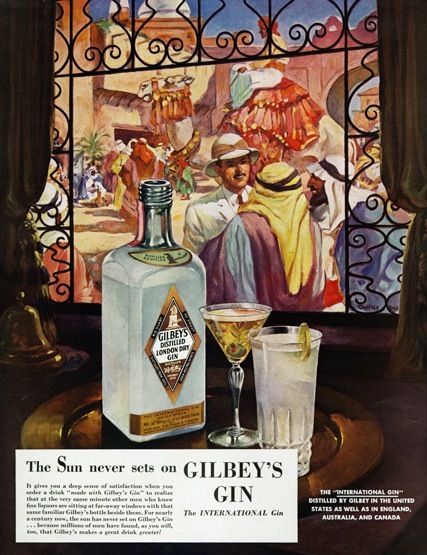 It is ideal for tropical conditions with the anti-malarial quinine content in the tonic, the anti-mosquito qualities of the bitters and the aqua vitae effect of the gin. If God didn’t want us to drink, why did He give us hops?